In this comprehensive study, problems of racial and religious division are examines in places as diverse as Northern Ireland and the West Bank. Territorial and spatial expression, intergovernmental relationships in federal states, alliance blocs within the United Nations and American foreign policy are among the wide range of subjects covered. 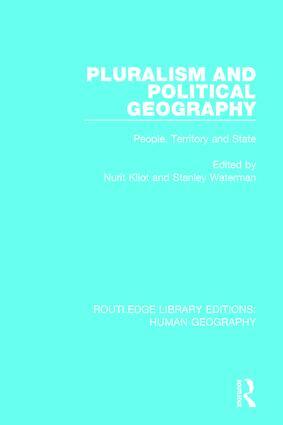 The problems are considered using both traditional and radical approaches, but throughout, the book argues that apply the concept of pluralism isn the best way of understanding the political geography of the modern world.